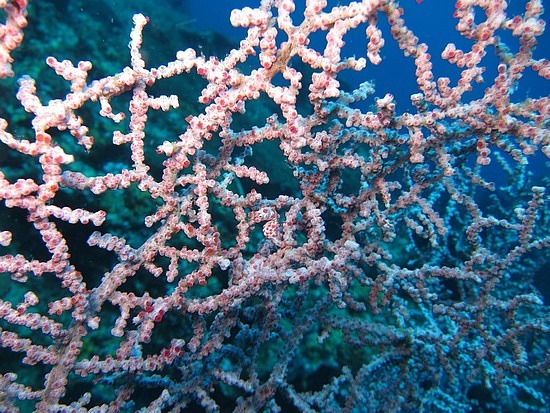 They're very hard to spot because they blend in with the coral. As small as your fingernail. How many times did I miss them in my dives in Bonaire and Tahiti? 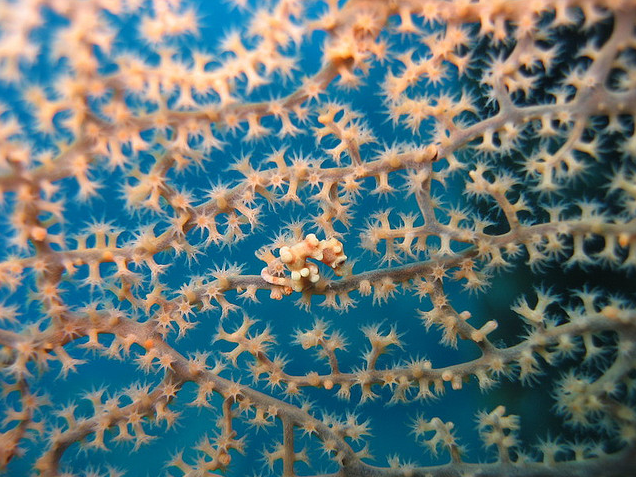 Could there have been dozens of Pygmy seahorses, all watching me? 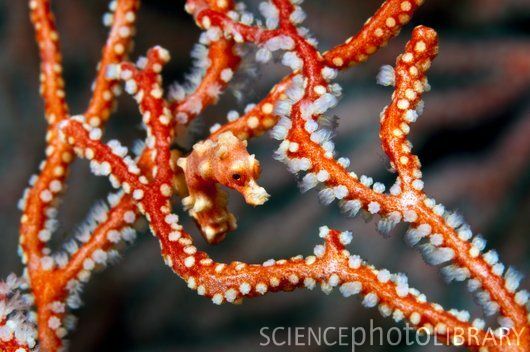 They look more like little candies than real seahorses! Now let's have a bit of I Spy fun! 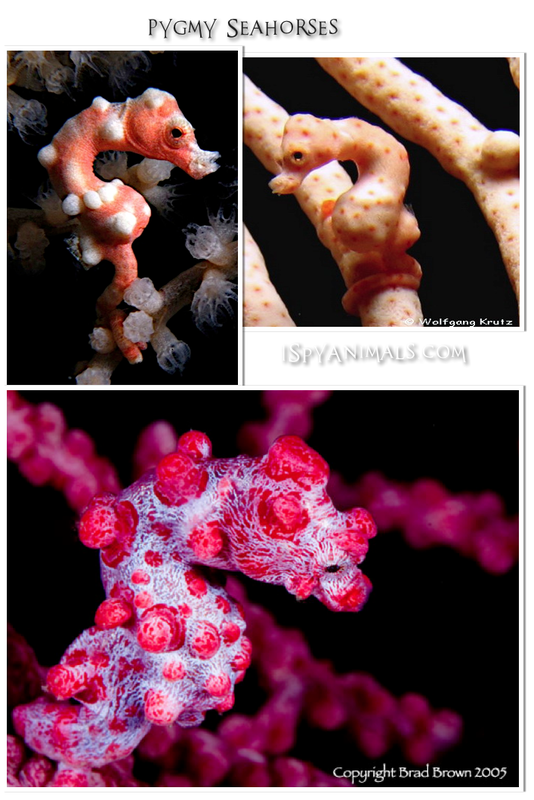 How hard is it to spot the Pygmy seahorses in the photos below? Woohoo, that last one is a doozy to see! Did you spot him? 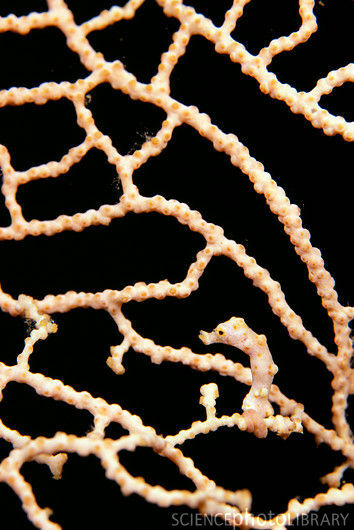 And here's the newest Pygmy seahorse discovered...so new, it's not even named yet. I like the little star shapes all over him. 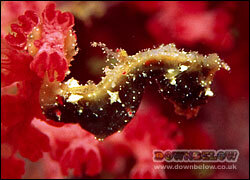 I would name him the Star seahorse...what would you name him? Wow! So cute! :) I like the newest one. 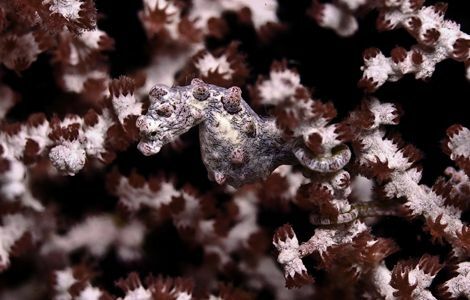 I couldn't even find the last pygmy sea horse! He's right in the center of the photo...a little lower than center, actually. He's not easy to spot!